Founded in 1982, the Capriccio record label has become well-known for the individual character of its diverse catalogue. While standard repertoire by Bach, Beethoven and Mozart has its place, most of the label’s CD and DVD titles feature music from all historical periods that is either less well known or has been recently rediscovered. 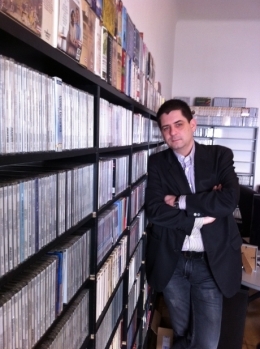 Following the bankruptcy of the Delta Music GMBH, the artistic director of Capriccio, Johannes Kernmayer, decided to carry on with several ongoing, but unfunded, recording projects from the profitable classical section of Delta as "Phoenix Edition. "he releases on Phoenix Edition were commercially successful and enabled Kernmayer to rescue the classical back-catalogue of Capriccio and reestablish the Capriccio label as a new independent company in Vienna. Capriccio has an enviable diversity of recordings to its credit: operas by Hasse, Graun, Schreker and Zemlinsky; the symphonies of Joseph Martin Kraus, Gossec, Schulhoff and Ullmann; the comprehensive Kurt Weill Edition; the complete film music of Shostakovich and Schnittke; and the ‘20th-century Portraits’ series, featuring music by composers such as Ernst Bloch, Egon Wellesz and Paul Dessau. Artists of stature have ensured a consistently high standard of performance over the years. These include Christoph Eschenbach, Bo Skovhus, Harriet Krjigh, Christine Schäfer, Rámon Vargas, Tzimon Barto, Matthias Goerne, Anne Schwanewilms, Christine Schornsheim, Jochen Kowalski, Hermann Prey, the Vienna Boys’ Choir, Concerto Köln, Max Emanuel Cencic, Vladimir Spikov and Dmitrji Kitajenko. In addition to its recordings with more established artists, Capriccio is also dedicated to promoting young musicians. The label’s ‘Piano Rarities’ and ‘Premiere Portraits’ collections, for example, offer these artists the opportunity to present themselves to a wider audience. Meeting the "Bad Boy Of Music"